Browse our current selection of glass art from amazing artists and top notch companies. We don't sell cheaply made inferior glass or any seconds. 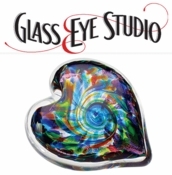 Mastering glass blowing requires years of dedicated practice, talent, creativity and stamina! Each art glass vase, bowl, paperweight, perfume bottle or sculpture is truly a work of art to be treasured for a lifetime. Start or add to your collection today! 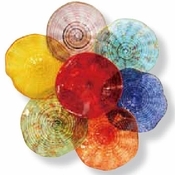 All art glass is a individual one of a kind creation. Every piece will differ from another. The pictures and sizes shown are representations provided by the artists and each piece will be very much like the one you see but not exact.